Quite possibly the best time to pick up video games that you normally wouldn't ever give a chance at otherwise. 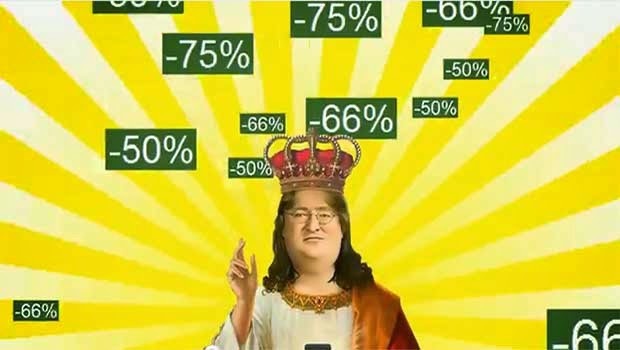 Steam sales in general are a huge boon to those who are willing to wait to buy games, and at the same time, it draws in a lot of revenue to the folks at Steam. There's some psychology to how people spend money. Buy a game on sale? "Welllll, I'm already buying one game, and this *other* game is cheap, might as well throw it in!" - the impulse buy. Kind of like that shelf full of candybars at the checkout in the grocery store. You see it, and you figure "why the hell not". Well this particular sale has gone above that psychology. First off, Steam broke users out into random teams. How do you get points for your teams? Collect cards and craft badges. How do you get cards? Buy games. OR, buy the cards from the Community Market. By showing users how to use all this, was a smart move. Because in order to craft badges, you need cards, in order to get cards, you have to buy games, or buy cards... well, how do you buy cards - oh you get them in the market - which you have to put money into your Steam Wallet to do... you can see where this is going. OH... AND... 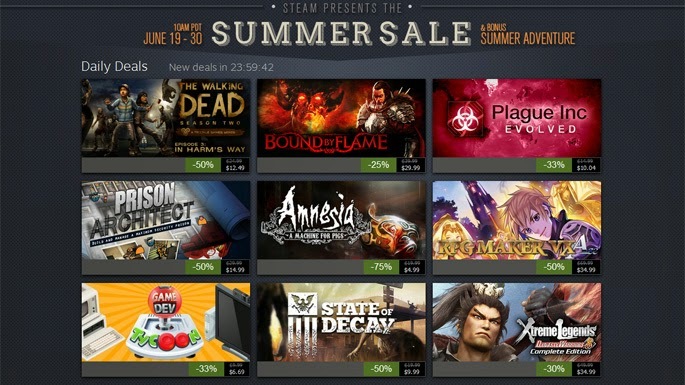 Steam gets a cut. You wanna sell your cards on the Community Market? Steam gets a piece. Wanna fill your Wallet to buy cards? More money for Steam. Wanna buy a card? Steam ALSO gets a piece. So with all that said and done, plus the social buzz created by the whole "Team" thing... it's driven a lot of interest in social feeds to participate. And then the human nature of competition kicks in. Humans are inherently competitive. Gotta get my team points... because we could win a game from our wishlist!! Ah yes, offer rewards... digital content that costs Steam nothing - such as in-game items... to 'free games for X people' - 30 users will win 3 free games from their wishlist... Well, technically it'd be cheaper to just buy the games. But that's not how people think. So in the end, Steam is likely making a killing using psychology and creative marketing to get people to spend, and spend often for this sale. And you know what, well done Steam.